Are massive open online courses (MOOCs) giving the expected benefits? 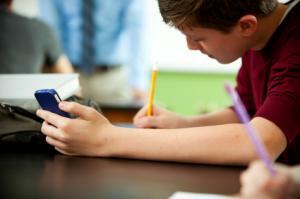 Does banning mobiles in schools improve student performance? Are massive open online courses (MOOCs) giving the expected benefits? Open online courses via the web were introduced in 2008 for distance education and in 2012, “the year of the MOOC”, they gained wide attention as a number of MOOC providers emerged, associated with world class universities. Since 2012 there has been massive worldwide uptake but questions are being asked the effectiveness of MOOCs and about their impact on other forms of education. Does banning mobiles in schools improve student performance? This quote is from a study on mobile phone bans, conducted at the University of Texas at Austin (UT Austin) by surveying 91 schools in four English cities (Birmingham, London, Leicester and Manchester) before and after strict cellphone policies were implemented. The researchers compared student exam records and mobile phone policies from 2001 to 2013.